At the end of the summer, elderly Louise misses the last train from a seaside resort. She decides to stay by the sea only in the company of her faithful dog and survive till spring in a lifeguard booth. 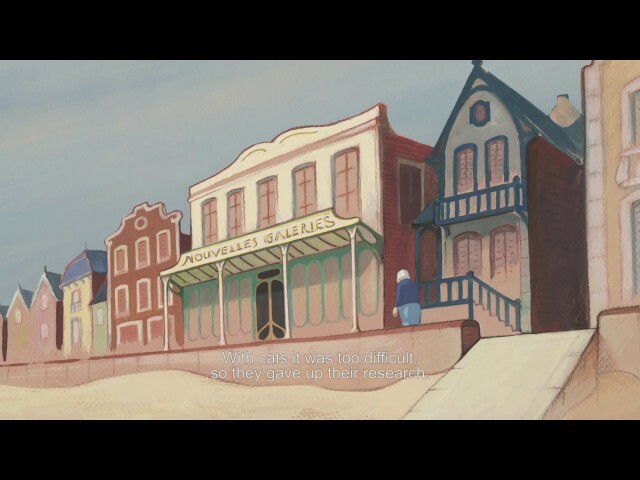 The animated poetic, visually captivating story was directed by J.-F. Laguionie, known to Czech audiences for his animated The Painting, and its appeal is emphasised by Dominique Frot, the actress who provided the voice of the lonely Louise.